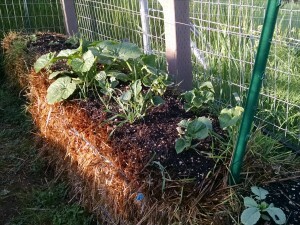 Here we are six weeks into my “project” garden and things are looking pretty good despite the little chicken attack fiasco. In case you didn’t catch it, while we were in Vancouver in May. The chickens somehow got into the garden and had a feeding frenzy. They completely consumed the tops of all the broccoli, cauliflower and brussel sprouts. Went wild in the seeded bales and spread them far and wide. The strawberries completely disappeared. No not a trace. I know you can’t help but notice the grass in the bales. Well this would be a good reason why you check with the straw farmer and confirm that it was thoroughly gleaned prior to baling. I knew that there were a lot of seeds in the bales but really? It is better still than an abundance of weeds. 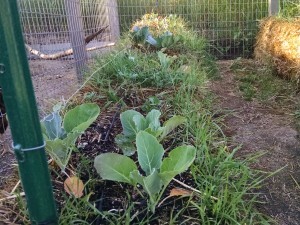 Besides that, when I pull the grass, I toss it to the chickens and they are happy campers. 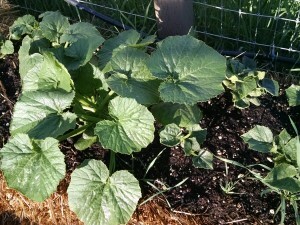 The pictures above are the melons and squash. They are really enjoying the bale hosts. 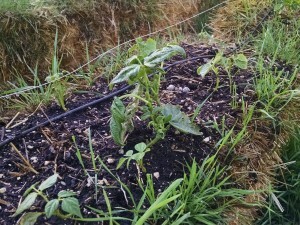 Beans are doing OK. The two egg pods of praying mantes just released about a week ago so I am hoping whatever is chewing on the bean leaves will now depart. 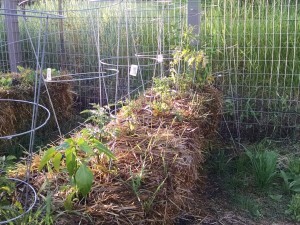 The tomatoes and peppers are doing moderately well considering. We had a week of some heat and I know that helped, but we are now back to the highs of 60’s so they are not happy. Moody June is half way through so once the true summer hits in July, I know there shall be an abundant growth and I will be handing out the red treasures to all my friends and neighbors. 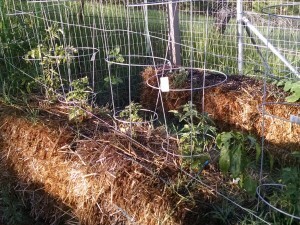 I still have six more Heirlooms and six more jalapenos to transplant. Oh boy, YUMMY!! Salsa, guacamole, ceviche…shall I continue? 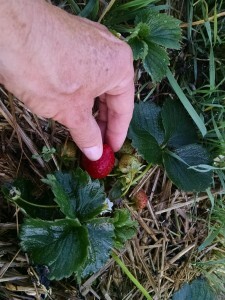 And of course the strawberries. 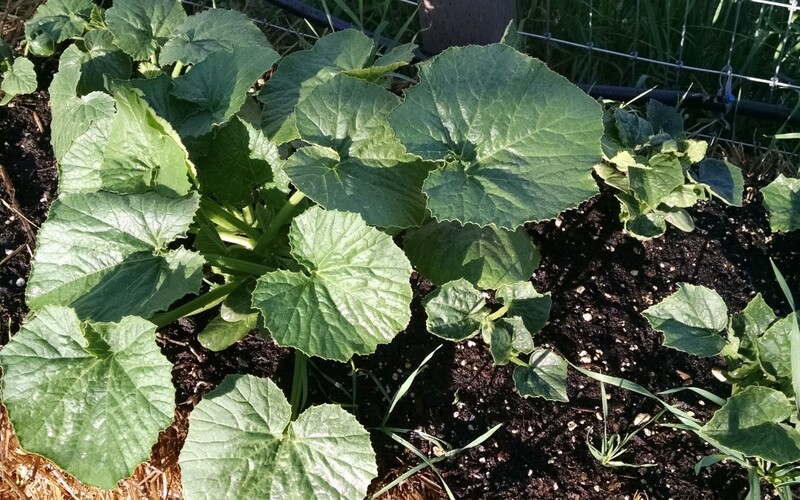 Believe it or not, one plant recovered after the chicken fiesta. 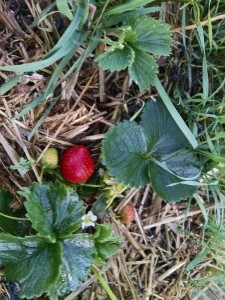 I did replaced the others and now I have actually harvested two strawberries. Of course they didn’t make it to the kitchen because one must sample her wares before she allows anyone else.